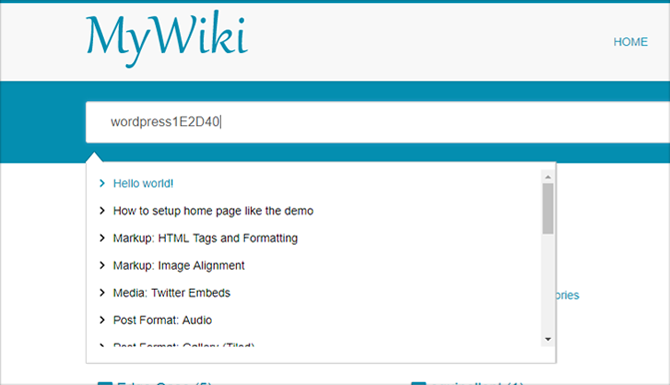 MyWiki WordPress Theme for your wiki or knowledge base website. 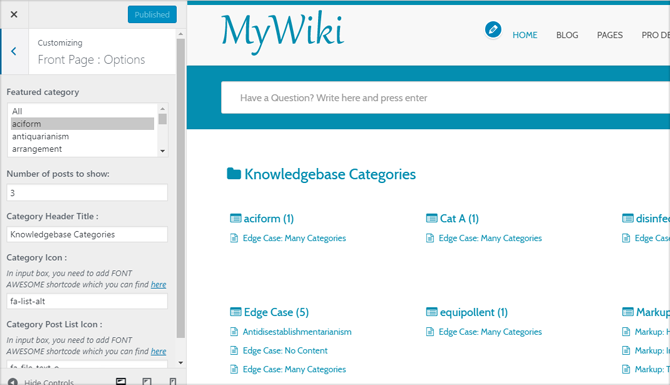 Mywiki is super fast in loading and is very easy to install and configure ! 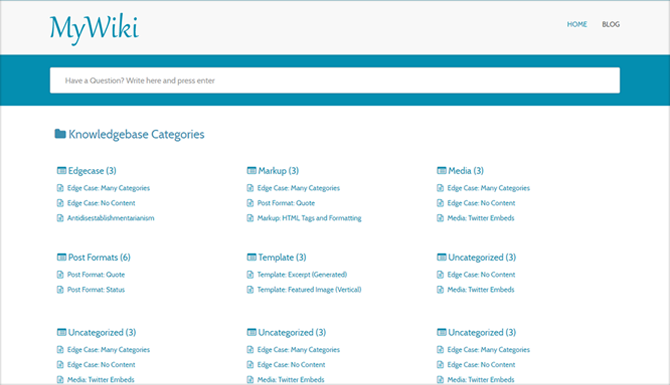 Our theme makes your website 100% mobile friendly. 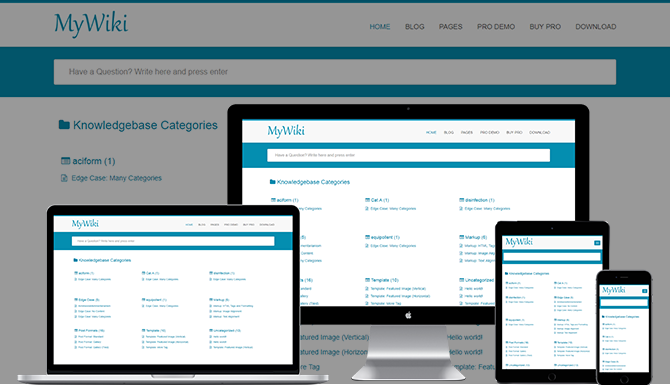 So your website looks perfect on mobiles, iPad, PCs, Mac and all other devices.